Home / General / What to Look for When Purchasing a King Size Organic Mattress? The materials – Find out what the king size organic mattress is made of. The best thing to do that is to read the label. Hence, it is advisable to visit the showroom or actual store of the retailer before you commit to purchasing the product. Many chemicals found in conventionally made synthetic mattresses have been linked to cancer, especially flame retardants. Hence, make sure that the mattress is made of natural Dunlop latex, organic and natural wool, and 100 percent organic cotton. Certifications – Organic mattresses are manufactured following certain industry standards, like GOLS (Global Organic Latex Standard), which ensures that the materials and the product itself is certified organic right from the start. This means the materials are not treated or modified with harmful chemicals. The retailer – Check the retailer’s certifications and memberships in relevant organizations. Consider a store that is part of the Organic Trade Association and a certified Gold business by Green America. Verify the store’s reputation by looking up reviews and by exploring its rating at the Better Business Bureau. 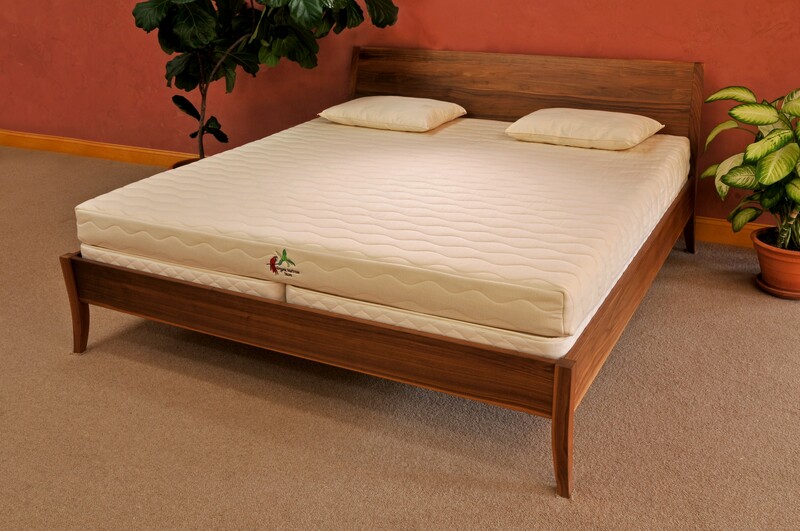 Free shipping – Some retailers offer free shipping for any king size organic mattress they have on sale. They can help you set it up, too. Financing – While there are retailers offering reasonably priced organic mattresses, ask about their financing options to make the purchase a little lighter on your pocket. Just make sure you can commit to the monthly payments. The Organic Mattress Store offers interest free financing up to 12 months.